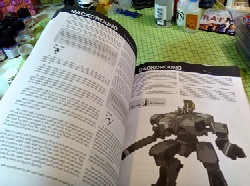 Rottenlead: Gruntz 1.1 now printing. Yesterday my updated proof arrived here in the UK. I was attending the Hyper Japan convention in London and the postman passed me Gruntz as I walked out to the station to catch the train to the London Olympia venue. I was lucky that I did not end up with a "Sorry you were out" card from the postman. 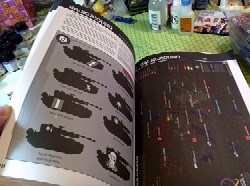 This made it a great Saturday, because I could read and scan the proof on the train and spend some money on some new Bandai model Gundam kits a the Hyper Japan show. 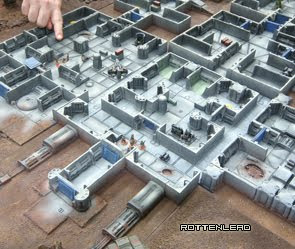 These will be painted up for a Gruntz game when I find the time! 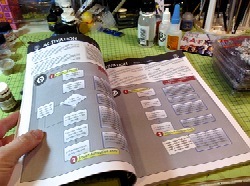 I have now sent all the address details to the printers for the printed copy supporters of the Indiegogo campaign. Shipping has hurt the wallet greatly because I thought that the printing was being completed in the UK and USA (depending on the customers location). However they only print Black and White orders in the UK, so the large number of UK, European and ROW orders are being shipped over from the USA with the associated international shipping costs. 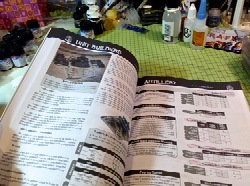 I am surprised I did not spot this in the process and I am lobbying Wargames Vault to investigate switching on a UK colour printing for future orders. It does mean everyone gets a full colour copy as expected but UK, European and ROW orders will take a bit longer to arrive from the USA due to the longer shipping times. Once I know those copies are in transit, I will be organising the PDF and then switching on the free upgrade email to existing owners. 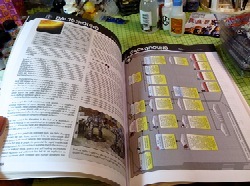 The free PDF upgrade will be issued as an email from the Wargames vault, so watch out for a message in the next week or so. You should be presented with a "Updated" product download. 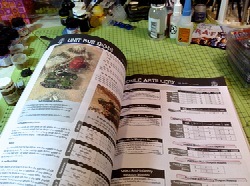 For those that had previously purchased the PDF on the Vault and then also supported the printed copy in Indiegogo, you will of course receive the printed version and the updated PDF from the Wargames Vault when it is switched on. Some quick sample snaps of the pages follow below. Sweeet, looking forward to a printed copy! Great news! 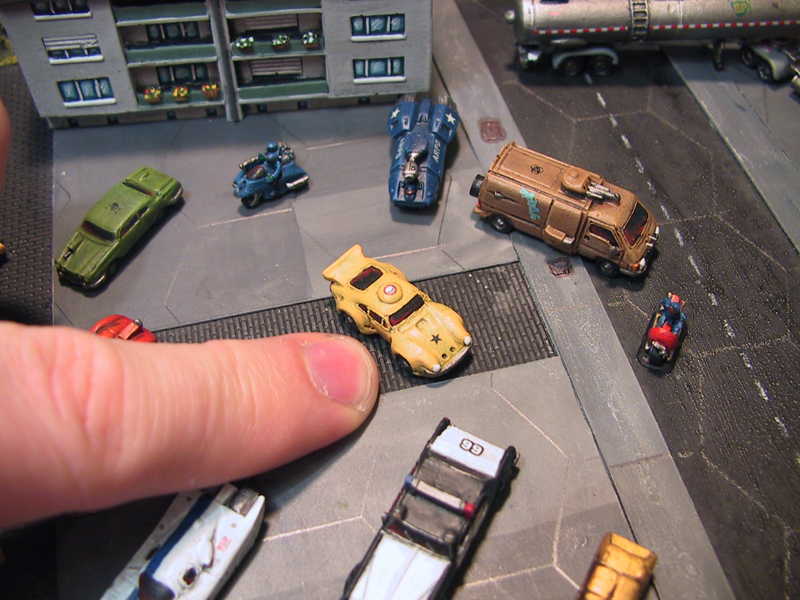 So, will the 1.1 update be available as a Print On Demand through Wargames Vault too?